Employment discrimination law can be very complicated and has many subtle features of which it can be difficult to keep track. Let’s assume that you have been discriminated against by your employer, received a Right-to-Sue letter from the Equal Employment Opportunity Commission (“EEOC”), and now need to file a federal employment discrimination lawsuit. In New York, you must file a Charge of Discrimination with the EEOC within 300 days of the last discriminatory act. We recommend that you first contact an Employment Attorney NYC and have the attorney handle the filing. However, you can also do it on your own. So what is the EEOC and what is an EEOC Right-to-Sue letter? How much time do I have to file with the EEOC? Where can I find EEOC lawyers in New York City? These same anti-discrimination laws also prohibit an employer from retaliating against an employee because the employee complained about discrimination, filed a discrimination charge, or participated in an employment discrimination investigation or lawsuit. How to file an EEOC Charge of Discrimination in New York and New Jersey? If you want to file a lawsuit against your employer for discriminating against you in violation of Title VII of the Civil Rights Act of 1964 (“Title VII”), the Age Discrimination in Employment Act (“ADEA”), the Americans with Disabilities Act (“ADA”), or the Genetic Information Nondiscrimination Act (“GINA”), you must first file a Charge of Discrimination with the EEOC. A Charge of Discrimination is a signed statement asserting that an employer engaged in unlawful employment discrimination. The first step to filing an EEOC Charge of Discrimination is to submit an intake questionnaire/inquiry to the EEOC either online or in person. An EEOC representative will then interview you to determine whether the EEOC is the correct federal agency to handle your complaint of employment discrimination. The interview can be in-person or by telephone. During the intake interview, you and an EEOC staff member will confidentially discuss the information you have provided, as well as your rights and responsibilities under the laws. Make sure that you bring with you any information that will help the EEOC understand your case. Important information that should be provided includes but is not limited to contact information, the name and address of the discriminating organization, how, why, and when the discrimination is believed to have taken place, the types of discrimination believed to be involved, and the names of the individuals involved in the discriminatory act, including eye witnesses. An EEOC representative will then prepare a Charge of Discrimination using the information you provided, which you then have to sign. This can also be done online or in person. How the EEOC will proceed after you file a Charge of Discrimination? Then EEOC will investigate the alleged discrimination, and notify the employer of the Charge. The investigation may be cursory, or it may be thorough, involving interviews, review of employer documents, and site visits. This investigation can take up to 180 days from the date the Charge is filed. The EEOC might then decide to proceed in a number of ways. 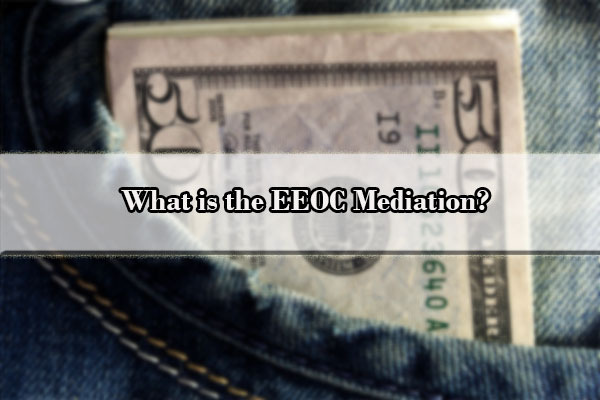 The EEOC might invite you and the employer to participate in mediation. The EEOC also has the authority to litigate your claims on your behalf by filing a lawsuit against your employer in court. However, this is extremely rare. More commonly, the EEOC will at some point close the investigation and issue you a Right-to-Sue letter. 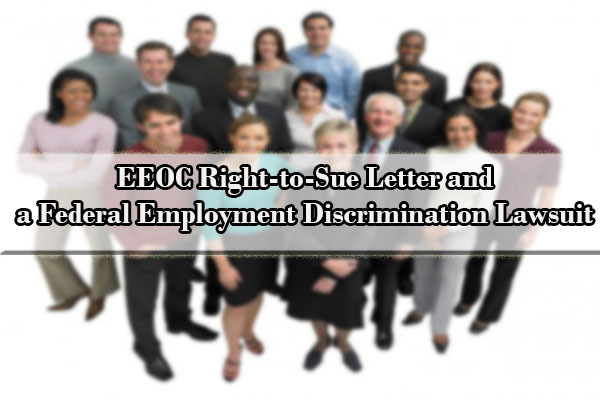 In addition, the EEOC may send to both parties a “Letter of Determination” stating that there is reason to believe that discrimination occurred. What is the EEOC Mediation? Once a Charge of Discrimination is received, the EEOC can refer the Charge to mediation. However, this is a voluntary process, meaning that both parties must agree to it before the process can begin. Mediation is an informal way to attempt to resolve the charge, using an independent mediator with experience in this area of the law. Mediation avoids the cost and delay of a lengthy investigation, and can allow the parties to work creatively to fashion a remedy that is mutually acceptable. Through mediation, you can also become aware of the strengths and weaknesses of your case. The employer’s attorney will be reviewing the strengths and weaknesses of the employer’s defenses with the employer. It will be necessary to evaluate the likelihood that you would prevail in court on your claims, and the amount of monetary damages that you might get, as against the risks and stress of litigation. The EEOC has experienced mediators, and sometime the mediations last all day. The mediator often meets with the parties together in one room, at which time each party makes a statement of their side of the case. The mediator will then shuttle between each side (each in separate rooms), and discuss the reasons for and what kind of settlement might be appropriate. The mediation is not a trial, and the mediator does not have the authority to force the parties to settle. A settlement will only happen if both sides agree. Thus, it is necessary that all parties are reasonable and realize there is a value to making concessions to avoid the stress, time and expense of litigation. If the EEOC is unable to facilitate a settlement, the EEOC will most likely close the case and issue the employee a Right-to-Sue letter. What is an EEOC Right-to-Sue letter? An EEOC Right-to-Sue letter indicates that the EEOC has finished processing your Charge and is giving you the right to file an employment discrimination lawsuit in court under the aforementioned federal laws. Once you receive your Right-to-Sue letter, you have to act fast. If you’re going to file a lawsuit, you must do it within 90 days of receiving the letter. The countdown begins from a day you first receive the letter, whether it is received by the employee or the employee’s discrimination lawyer. If you know you want to file a lawsuit prior to the conclusion of the EEOC investigation, you can request a Right-to-Sue letter at any time. If it has been more than 180 days since you filed your Charge, the EEOC must issue you the letter. If not, the agency will issue you the letter if it believes it won’t be able to complete its investigation within 180 days. What to do if the EEOC dismisses your Charge and issues you a Right-to-Sue letter? The EEOC’s dismissal should not be seen as a reflection of the merits of the claims, but rather as opening the courthouse doors so the employee can proceed with a lawsuit. Further prosecution of the case, including civil discovery procedures, can turn up evidence that the EEOC did not discover or consider. If you received an EEOC Right-to-Sue letter, you have to act fast. Do you know how to go about filing a lawsuit? How much does it cost? Should I try to settle with my employer before going to court? If you are unsure as to what steps to take, it is best to contact a New York City employment discrimination lawyer. 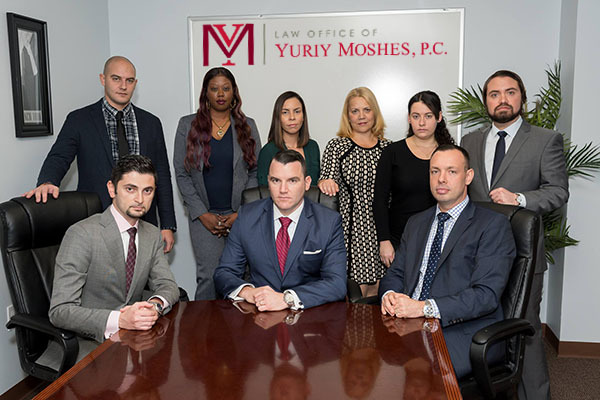 The Law Office of Yuriy Moshes, P.C. serves all five New York City boroughs (Queens, Brooklyn, Bronx, Manhattan, Staten Island).